Home Bouquet Breakdowns	Bouquet Breakdown: Spring Green and White Bridal Bouquet! 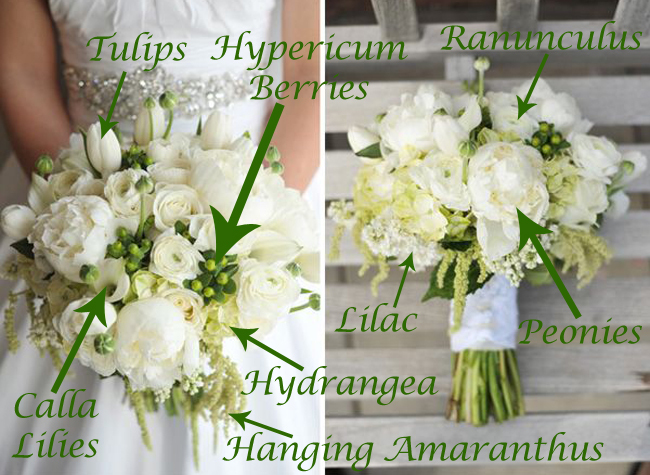 Bouquet Breakdown: Spring Green and White Bridal Bouquet! Since I am on a Green and White kick this week (I started with some Green and White Wedding Ideas, then put some Green and White Wedding Flowers on Sale), let’s continue with a Bouquet Breakdown of a Spring Green and White Bridal Bouquet! I found this bouquet on a blog by the floral designer, Studio Stems, and I feel in love with the texture (love me some Hanging Amaranthus and the use of Buds) and the use of fresh Spring blooms (Tulips, Ranunculus, Peonies…). Studio Stems also created some amazing centerpieces to go with this bouquet, so after the breakdown, be sure to check out the full post here. 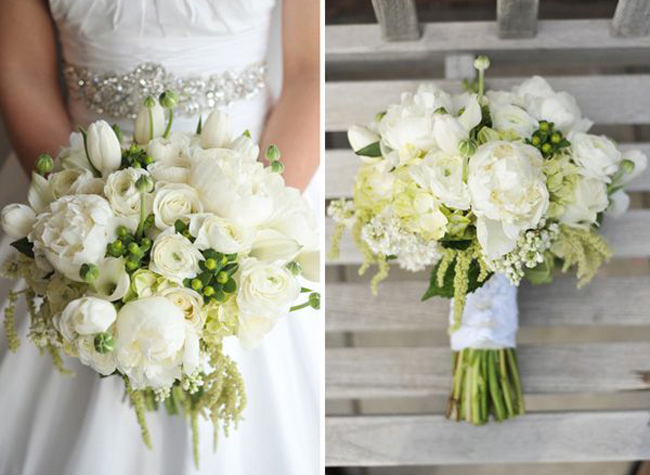 Flowers Used in this Bouquet: White Flowers – Tulips, Mini Calla Lilies, Peonies, Ranunculus, and Lilacs. Green Flowers – Hydrangea, Hanging Amaranthus and Ranunculus Buds. Would you carry a Green and White Bridal Bouquet down the aisle? Let me know in the comments below!